How Does Hydrostatic Pressure in an Inground Pool Work? Odds are, you’ve heard pool people tell you, frantically and with tears in their eyes, “Don’t drain your inground pool!” They mention hydrostatic pressure as the reasoning before running off to warn the next pool owner they can find. It’s nice of them to alert you…but what are they talking about? Why shouldn’t you drain your pool, really? What does “hydrostatic” even mean? Not to worry, friend. I have your back. 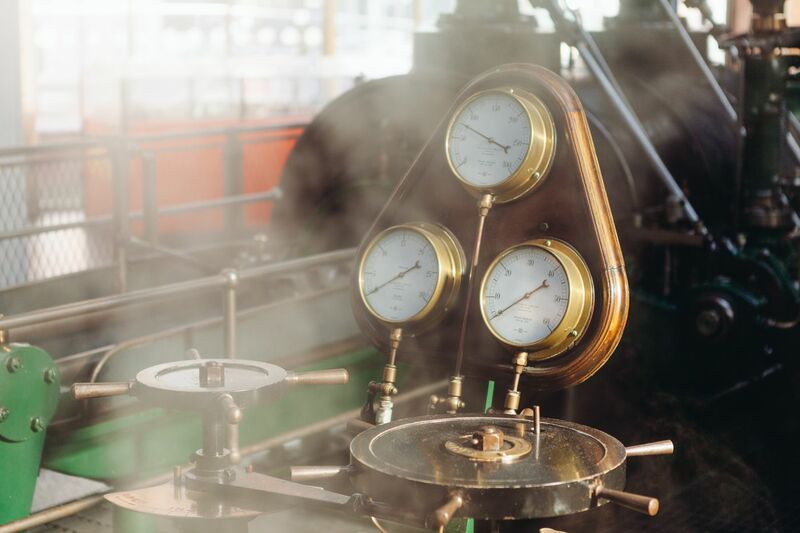 So what is hydrostatic pressure, anyway? Thanks, dictionary. That’s completely useless to me. At the most basic level, hydrostatic pressure is how hard the water is shoving at the walls of its container. This only applies to water that’s hanging out in one place, not in motion. Hence “hydro” (water) + “static” (at rest). Want to know more? You’re in luck. Time for the least scientific-sounding explanation ever. All right, so when you weigh yourself on a scale, it’s not measuring your mass, but your pressure on the scale. Your weight is your downward pressure, thanks to gravity. Now imagine a glass of water sitting on that scale. 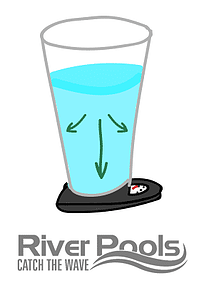 The weight of the glass of water is, again, the downward pressure. But brace yourself: that’s not the only pressure it’s giving off. Water, like your local teenager, wants to be free and will push against all boundaries to achieve that. Instead of getting a tattoo or climbing out a bedroom window, the water rebels by shoving against every “wall” in its container to try to break out of prison. So now you have all-around pressure. Hydrostatic pressure. Let’s say that, in a fit of pique, you throw a chunk of wood into a puddle. It ends up lying on the ground. 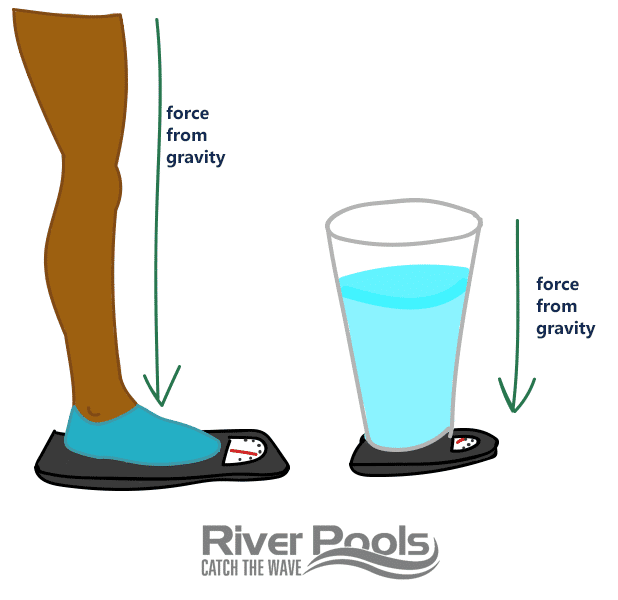 Buoyant force, or buoyancy, is the upward force of water that counters gravity. It’s a type of hydrostatic pressure. The water will push away anything it can, but there are Rules. Sinking means that buoyancy < weight. Floating means that buoyancy > weight. When an object doesn’t move, that means the buoyancy equals the weight of the object. How do different types of water pressure affect an inground pool? For starters, you have hydrostatic pressure from inside the pool and buoyant force (also hydrostatic pressure) from outside the pool. When you drop a pool into the ground and fill it with water (in the case of fiberglass pools), you create internal water pressure. The water inside the pool starts pushing against the sides and bottom of the pool shell to be free. Hydrostatic pressure. You drain out the groundwater to put the pool in, but that rascally groundwater can still come back. The hole holding your pool is no different from any other hole in your yard. It fills with water. Rain? Snow? A lot of crying in the backyard? Hello, water under and around the pool. This saturates the soil. Your type of soil will determine how long water remains in the cavity outside your pool. Sandy soil is most permeable; clay is least. That surrounding water wants the pool to go away, so it pushes up against it. Buoyant force, aka upward hydrostatic pressure. If the pool is full of water, it’s heavy enough to counteract the upward pressure of the groundwater, and it won’t move. The problem comes when you drain the pool. Even lowering the water level below the skimmer can be enough to ruin your life (well, your pool’s life). When there’s insufficient water in the pool, the shell can bulge, crack, or even float. Not ideal. First and foremost, your pool needs a dewatering system so that you can inspect and remove groundwater if necessary. It’s a proactive solution. Second, and just as important: Do not drain your pool. Don’t do it! If you feel it absolutely requires draining, hire an authorized professional to do it. This would ensure your warranty stays intact. These principles apply to all types of pools. With enough uplift from water pressure, concrete pools will actually float. Vinyl liners bubble and float inside the pool as well. Fiberglass pools can pop up, too. However, after 1,000+ installations over the past 15 years, we have yet to have that happen on a single completed project. Want more info about pools? All year round, River Pools manufactures and installs fiberglass pools in Virginia and Maryland. We also operate in other areas of the country through our nationwide dealers. If you’re into this absurdly casual approach to pool science, you should check out our explanation of pool chlorine. It’s pretty fun, if I do say so myself. If you’d like to learn more about the different types of pools, check out our comprehensive ebook "Comparing Fiberglass, Concrete, and Vinyl Liner Pools in the Modern Age.” It discusses cost, design, surface durability, installation… basically any aspect you’ll want to compare if you make a big pool decision.